McKinsey & Company is inviting you to the information session where you will have the opportunity to learn what a career at McKinsey can look like. 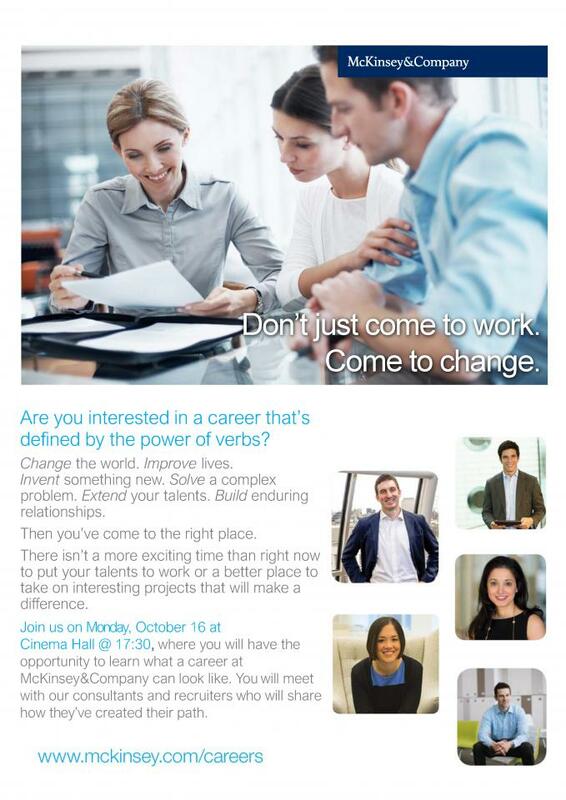 You will meet the recruiters and consultants who will share how they've created their path. Join us at October 16 at 17:30 at the Cinema Hall.